San Juan: The first openly gay Latin trap artist Kevin Fret was shot dead in San Juan, Puerto Rico by unknown men, media reports said on Friday. The artist, 24, was killed on Thursday. According to Puerto Rican newspaper El Nuevo Dia, Fret was riding on a motorcycle in the Santurce neighborhood at about 5:30 A.M. when he was shot eight times, reported Ace Showbiz. Following the attack, he was taken to Rio Piedras Medical Center for treatment. He was pronounced dead at the medical center. An investigation into the incident is currently going on. Fret's manager, Eduardo Rodrigues, confirmed the death and was quoted as saying in a statement available with the media: "Kevin was an artistic soul, a big-hearted dreamer. His passion was music, and still had a lot to do. This violence must stop. There are no words that describe the feeling we have and the pain that causes us to know that a person with so many dreams has to go." One I am Gary tweeted: "Every music blog should be publishing something this week about Kevin Fret's murder." Every music blog should be publishing something this week about Kevin Fret's murder. 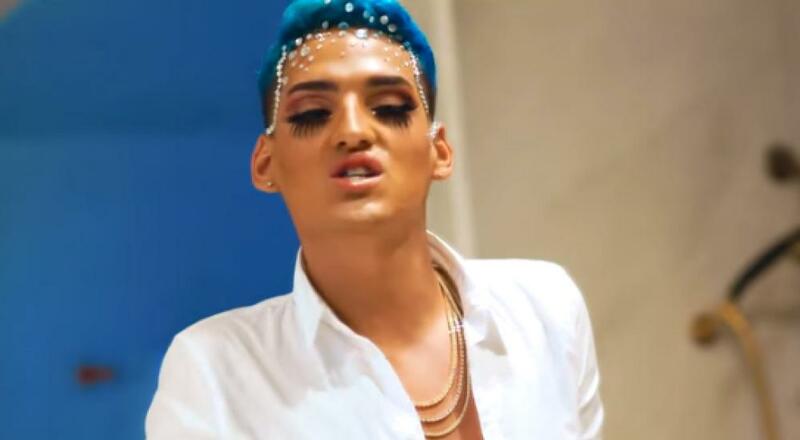 Another Samy Nemir Olivares said: "After the infamous song from Anuel AA, homophonic attacks grew and Kevin Fret became a constant target of harassment and bullying. Kevin recorded several videos responding to this and calling singers to stop mocking him or being gay in their lyrics." Journalist David Begnaud tweeted: "One of the few openly gay singers in Puerto Rico’s urban music scene has become the 22nd person to died this year in gun violence on the island, according to @VoceroPR. One of the few openly gay singers in Puerto Rico’s urban music scene has become the 22nd person to died this year in gun violence on the island, according to @VoceroPR. Kevin Fret was reportedly shot 8 times while riding a motorcycle at 5:30am in San Juan." Another Jai posted: " My heart hurts I’m so sorry this happened to you. RIP #KevinFret."